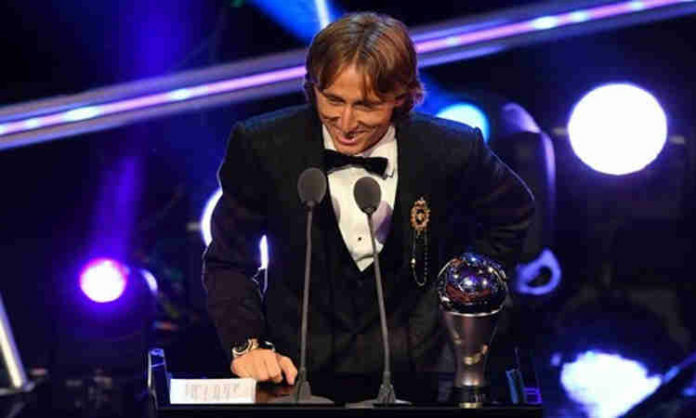 Croatia’s Luka Modric has won the men’s Ballon d’Or award, the prestigious prize given to the best footballers in the world. The Real Madrid midfielder beat five-time winner Cristiano Ronaldo and World Cup winner Antoine Griezmann to the honour at a glamorous ceremony in Paris. Modric has proved a crucial part both of Real Madrid’s third successive Champions League triumph, beating Liverpool in the final 3-1, and as captain in Croatia’s impressive run to the World Cup final which earned him the tournament’s Golden Ball.